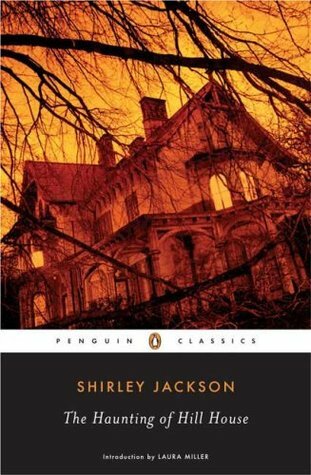 The Haunting of Hill House is definitely an excellent work of literature I would recommend to anyone interested in something timeless. 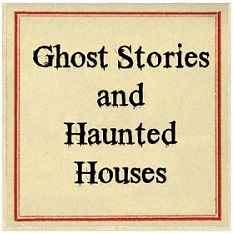 As other's have stated before, ghost houses and hauntings and horror seem to be something anyone can relate with, no matter what time period you're in. So while it came as a bit of a surprise to me that I ended up enjoying this book (considering I've always had difficulty reading old classics), I quickly banished that notion and just enjoyed myself. The Haunting of Hill House starts off with Dr. Montague selecting specific people to join in at Hill House as assistants to oversee the supernatural activities suspected to occur there. Of the several, he has narrowed his list down to two, but due to legality reasons, he must also include one more, the heir to the Hill House manor. We meet Eleanor first, a young woman who has spent her entire life being meek, taking care of her ailing mother who has passed on recently. She resents her lifestyle and all the people connected to it. In an attempt to do something different and adventurous with her life, she has accepted Dr. Montague's invitation to stay at Hill House for a duration. Upon her arrival, she meets Theodora, another girl described as her opposite--sunny, loud, laid-back and exciting. The two click immediately and become close. Then Luke Sanderson, the heir who will inherit Hill House in the future arrives with Dr. Montague, and the four bond like they've always been companions. What starts out as a simple observation of paranormal happenings in the old manor with a friendly team, however, soon becomes much more haunting and horrific than the four had anticipated. I didn't really find Hill House all that scary to begin with, to be honest. I had even been reading it in the dead of night during a rain storm and that didn't affect anything. On the other hand, what I DID find pretty disturbing and sweetly chilling ended up being the characters and their strange behaviors as they continued to reside in Hill House. While friendly at first, you can start seeing the little hostilities here and there as they start questioning and turning on each other from the first moment that Eleanor's name is splattered all over a wall. Or should I say, how Eleanor perceives the emergence of these hostilities? The book is primarily told through Eleanor's point of view, and we soon find out that her point of view isn't entirely reliable. I like that it starts off as small instances wherein she questions her own actions and words, and questions whether her companions think she's silly--it comes off as kind of her being naive and self-conscious. But as time progresses, her thoughts become a bit more wild, more bitter and resentful. She starts seeing slights from Theodora and Luke, believes that Dr. Montague is going to get rid of her. And with the haunted manor singling her out, she's slowly starting to break down mentally as she forces herself not to show fear. Because she's finally found a place she feels like she belongs, but if she does anything to attract the wrong sort of observation by her new friends, Dr. Montague has announced that he would send her away. It seems strange, in light of all the manifestations that are described, but for some moments, I found myself wondering if it weren't Eleanor causing all of this: writing her name on the walls, creating heavy footsteps in the halls, pounding on the doors... I know it sounds less likely than that the house is actually haunted. Anyway, this book is pretty thought provoking. Those last couple chapters were very much: "What the f---?" moments and I couldn't take my eyes away.